Both QQQ & SPY are backtesting the 60-minute falling wedge patterns on this post-FOMC dip, offering an objective but aggressive long entry. I’m still holding off on adding either of these as official long trades as the market can, and soon will, go either way from here but I wanted to point this out backtest & objective entry (with the appropriate stops below) for those interested. 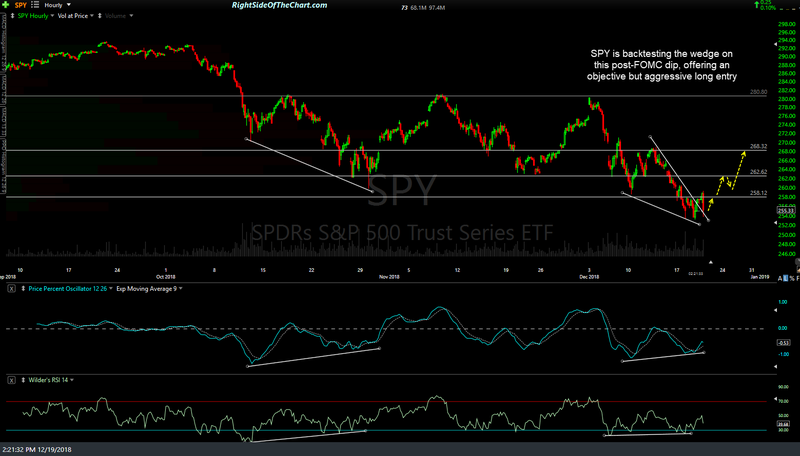 Near-term price targets listed on the charts below (as the actual resistance levels, best to set any sell limit orders slightly below the resistance level or levels that one is targeting). at what level on QQQ do we need to clear before it gets on to official trade? 162? 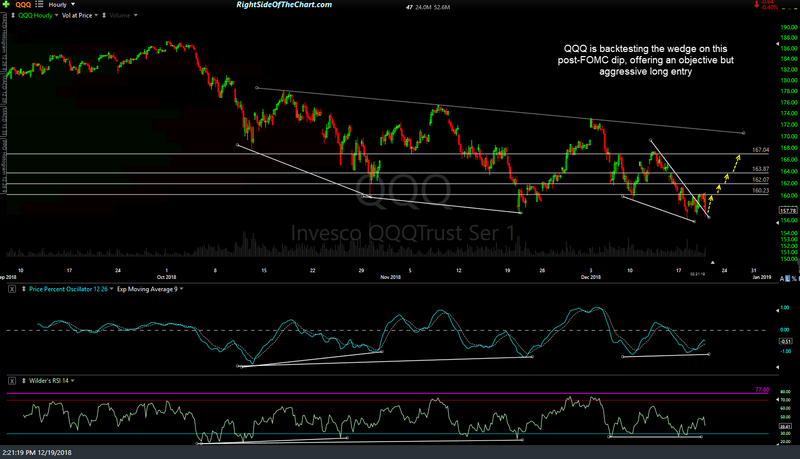 I made QQQ an official trade today & I’m ready to add IWM soon as well but will wait to see if the market is going to give us that final washout, capitulation selloff here first (which would probably come today and end no later than Monday, probably sooner) or not. I’ve already marked up the IWM charts with targets & I will use a hard stop on that one but used a daily closing stop on QQQ to allow for an intraday washout move (which, ideally, would be followed by a strong reversal into the close).